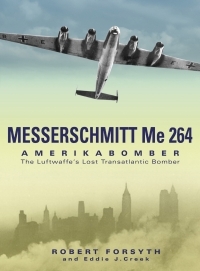 Advantages: The definitive work to date on the Messerschmitt Me 264; excellent coverage of the Amerika Bomber concept, development, testing and its competitors; readable and interesting text; packed with factory drawings and translated excerpts from official documents; high quality artwork; attractive layout. The ambitious concept behind the Messerschmitt Me 264 was to build an aircraft capable of reaching any point of the globe without refuelling. As the war progressed, harsh practicalities threw barriers in the path of this scheme. The bleak truth of the situation, however, did not prevent optimism for the concept in Germany, and anxiety about the existence of an Amerika Bomber throughout US and British intelligence communities. There was even the fear that this formidable machine might be used to drop atomic weapons on the USA at will. 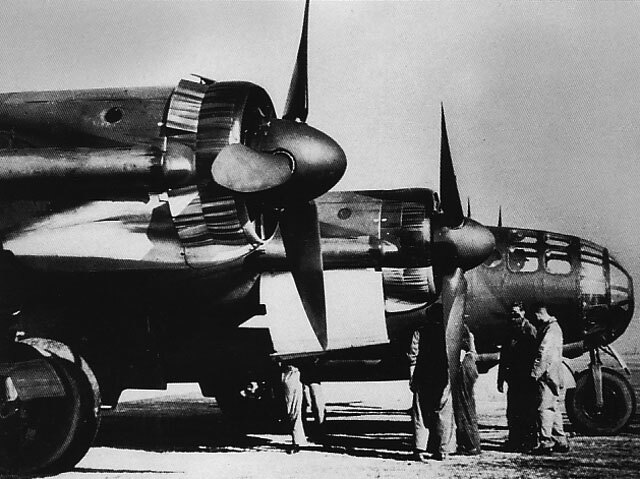 The reality was that Germany could not afford to build a fleet of these long-range bombers and, in any case, that the Luftwaffe's experience with their heaviest operational bomber, the Heinkel He 177, was fraught with mechanical and technical failures, and limited operational advantages over medium bombers or large maritime aircraft adapted to specialist roles. Despite the frustrations of the single prototype, the story of the Me 264 remains a fascinating one. Robert Forsyth covers initial heavy bomber designs - the Dornier Do 19 and Junkers Ju 89, the Amerika Bomber concept, the Me 264 design, prototype construction (with many excellent factory photos of the Me 264 V1 being assembled), specifications, powerplants, flight testing, and its contemporary Luftwaffe behemoths, the Bv 222 flying boat and the Heinkel He 277. The layout of the book is punctuated with around 200 photos, factory drawings, translated extracts from official documents and tables, ensuring that the reading is never laborious. Two pages of attractive colour artworks by Gino Marcomini illustrate some of the advanced concepts for the Me 264 that never left the drawing board - a long-range bomber with four piston engines and two turbo jets; and a long-range reconnaissance aircraft with four in-line pusher propellers and two turbo jets. The author's text is logically laid out, comprehensive and informative, while remaining admirably readable. Little has been published to date on the Messerschmitt Me 264. Robert Forsyth's work is undoubtedly now the definitive work on the subject, and will be fascinating to Luftwaffe aficionados and aerospace enthusiasts alike.